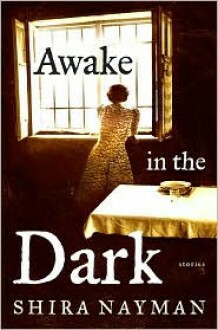 Bold and deeply affecting, Awake in the Dark is a provocative and haunting work of fiction about who we are and how we are formed by history. These luminous stories portray the contemporary lives of the children of Holocaust victims and perpetrators as they struggle with the legacy of their parents  their questions of identity, family, and faith. In "The House on Kronen-strasse," a woman returns to Germany to find her childhood home; in "The Porcelain Monkey," the shocking origins of an Orthodox Jewish woman's faith are revealed; in "The Lamp," the harrowing experiences of a young woman leave her with the perfect daughter and a strange light; and in "Dark Urgings of the Blood," a patient is convinced that she shares a disturbing history with her psychiatrist. Rendered in powerful, unaffected prose, Awake in the Dark is an illuminating and startling book about the disguises we don, the secrets we keep, and the consequences of our silences.